Too many contractors set their service pricing by accident. For this reason one contractor out of five closes every year when the economy’s strong, let alone when it’s weak. Service pricing should be set at a level where you can pay your bills, pay yourself, pay your employees, provide training, invest in the growth of your company, and leave a little left over. In other words, service prices should be set to earn a targeted net profit. Sounds obvious, right? The question then, is why don’t more service companies charge what they should? Mike McCaleb of Cookie Advantage is a master networker. We spent a few minutes talking about the networking he’s doing after a Rotary Club meeting. Mike is a member of nine different networking organizations and is preparing to start a tenth. These range from leads clubs to service clubs to chambers of commerce. Mike’s not just a member. He’s involved. He attends all meetings. And why not? The meetings are over breakfast or lunch. “I’m going to eat anyway,” he explains. Mike’s goal in networking is to explain his business well enough to people for them to explain it to others when the opportunity arises. His business is inexpensively mailing cookies to customers with a thank you note and survey card. It’s a proven customer retention method and he sees his job as making it as easy as possible for time pressed business owners to retain customers. Networking is the blocking and tackling of business. It’s fundamental. If you’re B2C, it’s important. If you’re B2B, it’s critical. Mike is a vendor in the Service Roundtable’s Roundtable Rewards program where contractors in the Service Roundtable get a 5% rebate from Cookie Advantage. He got involved because I networked with him at Rotary. Tony Fuentes, the General Manager of Sam Pack’s Ford Country of Lewisville, introduced me to Mike. I met Tony through networking and bought my last car from him. That’s the way networking works. Business is built on relationships and people prefer to do business with the people they know. When Mike meets with 400 people over the course of a week, he’s meeting with potential customers and vendors. These are also community centers of influence who can introduce Mike to other customers and vendors. Your circle of influence when you’re engaging community centers of influence spreads far. In Mike’s case, it reaches 80 thousand. How about you? Do you eat lunch by yourself? Why not get involved with a service or civic club? Why not meet for breakfast with a networking group? Why not get involved with your school alumni? Why not expand your circle of influence? If you can join 100 people through two or three groups a week and each of them knows 200, that’s a 20 thousand strong circle of influence. Do the math. Do Homeowners Associations and Solar Mix? Few people should have a beef with homeowners installing solar, right? It's not like your neighbor wants you to pay for it (though you do through the tax code, but that's another issue). Oh sure, some claim it's an eyesore. So are those whirly things on the roof and no one gets worked up about them. But to appease the architecture Nazis in positions of power within homeowners associations, the homeowner who wants solar can install the panels on the back of the house. Who could object then? Apparently the Wellington subdivision of Flower Mound, Texas could. When a homeowner installed 44 solar panels on the back of his roof, the HOA sued. People can see the panels from a jogging trail/bike path than runs behind his house. Check out the photograph. It is a lot of panels, but it is his private property. The HOA should get over it. It's appropriate to question the economics and reliability of solar power for utility base load generation. However, if an individual wants to make the investment, shouldn't he be able to? Here is the energy delima. The Feds force much of the country to buy high efficiency air conditioners with paybacks that are far longer than the life of the equipment. HOAs prevent homeowners from installing PV panels. I think the bigger issue is liberty. I don't like someone telling me I have to buy 13 SEER air conditioners or 1.6 GPF toilets. I also don't like someone telling me I can't install PV panels. I want these decisions to be my choice, not some HOA Nazi or government bureaucrat's choice. The second national meeting of the Service Roundtable will be the New Orleans Roundtable. Why New Orleans? It's simple. 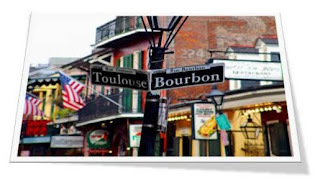 The city's largely rebuilt (at least, the French Quarter's largely rebuilt), the food's great, the jazz is great, it's easy to get to from nearly anywhere in the country, and it's a fun place to gather. Yeah, but what about the meeting? Time is short. Money is tight. Why should I take off April 11-13 to attend another industry meeting? In short, because this isn't like any other industry meeting. It's completely focused on taking your business to the next level. Hanging around with Ron Smith is a seminar by itself. The guy casually drops gems of wisdom whenever he engages in a conversation. How can you miss the opportunity to spend time with the contractor who invented the service agreement, who came up with the idea of residential retail salespeople, who started the HVAC industry’s very first private contractor group and was the first person to franchise the HVAC industry, who spotted and recruited Tom McCart, Charlie Greer, Al Roach, Ruth King, and other superstars into the service trades? Ron’s going to be emceeing the events, signing books, getting his picture taken with contractors, and generally hanging out. Contractors from around the country will be bringing their best ideas to share during the Ideation Roundtables. What is an “Ideation Roundtable?” It’s like business idea storm, where you can pick up proven new ideas ways to make money and cut costs from other contractors. 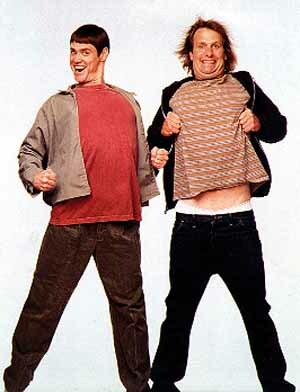 Look, some contractors simply do not post to the HVAC Roundtable, Plumbers Roundtable, and Electrical Roundtable. But they still have great ideas. They’re just more comfortable sharing them in person than over the Internet. The best part of any industry meeting is the interaction that’s not on the agenda. It may sadden the people who bust their tails assembling a first class event, but the conversation over a beer at the end of the day is often better than event. This is especially true when you can meet the faces behind the email signatures and the staff of the Service Roundtable. If bar talk’s important, few places are better for it than the New Orleans French Quarter. A lagniappe (lan-yap) is defined by Dictionary.com as “a small gift given with a purchase to a customer, by way of compliment or for good measure; bonus.” Charlie “Tec Daddy” Greer will be delivering the New Orleans Roundtable’s lagniappe in the form of a free-for-all question and answer session at the close of each day. Bring your questions for one of the top consultants in the service trades and fire away as long as you want. Okay, no one goes to a conference because it’s held in a cool hotel, but it doesn’t hurt either. Located in the middle of the French Quarter, the historic Hotel Monteleone has been a hangout and inspiration for numerous literary greats, such as Ernest Hemingway, Tennessee Williams, William Faulkner, featured on everything from E! to the Food Network to A&E, CNN, and the major Truman Capote, Eudora Welty, Rebecca Wells, Anne Rice, Stephen Ambrose, John Grisham, and more. It’s been the site for a bunch of movies. It’s been featured on the major networks. The Travel Channel’s featured the hotel many times, including a show about “the best place to pop the question” and a show about haunted destinations. Haunted? Yup. It’s considered “one of the premier haunted hotels in North America.” Don’t worry. Staying on the haunted floor is purely optional. Look, this has got to be one of the coolest places ever for a meeting. Want help with a problem? We’re creating mini Roundtable Boards of non-competitive contractors to address each others’ business problems. Bring your most perplexing issues, whether it’s sales compensation, marketing issues, human resources problems, succession planning, figuring out a tactful way to get the mother-in-law to retire, truck policies, or anything else that affects your company. Get input, suggestions, and advice from contractors who have been there, done it, and have a closet full of t-shirts. Email marketing is one of the more powerful marketing tools at your disposal. Service Roundtable Content Manager, Bob Viering will show you an incredibly easy way to create an email marketing program to reduce the cost to build relationships and promote your company. Done right, email marketing is the lowest cost method for pushing communication to your customers. It’s the fastest marketing method around – what’s sent today is opened today. Customers who opt-in to receive your email communication and promotional offers are surprisingly likely to open the mail and respond. If you’re tired of expensive, hit or miss marketing, you must attend this session. Popular sales trainer and consultant, Joe Cunningham promises he’ll show you how to take your business zero to profitability in 60 seconds. By adopting Joe’s simple, proven processes and plugging them into a “menu for success” implementation calendar that you’ll build, even the smallest contractors can leap forward, regardless of the economy. Every so often a window opens where buyers, ranging from consolidators to utilities to independent business people, look for contracting companies to buy. When the time is right, your company must be ready. Brandon Jacob, the service trades’ go-to-guy for acquisitions, will identify the steps you need to take to prepare your company maximum attractiveness and value. Even if you never want to sell, following Brandon’s guidelines will help your company more easily secure lines of credit and other loans, as well as generally improve your financial performance. If you ever want to sell your company or borrow money for less, you should pay attention to Brandon. Ken Goodrich is a contractor like no other. The guy’s put together a team of all-stars who built and sold six companies. When he sold his last business to a consolidator, management hired him and told him to keep doing what he was doing. With his team, he grew the company and expanded to $100 million in 10 markets with 250 trucks. Incredibly, most of the growth was organic, not the result of acquisitions. With double digit net profit, Ken doubled the size of his operations in 2009. Ken is a contractor with an amazing, inspirational story. He shows you what is possible in our industries. Even if your goal is to grow to $10 million or $1 million instead of $100 million, you can learn lessons from Ken Goodrich. Because he’s a contractor, growing like crazy, it’s rare for Ken to speak in public. This isn’t the type of presentation or speaker you’ll hear anywhere else. Do not miss this change to change your perspective on your business and industry. To register for the New Orleans Roundtable, call Janet Thomasson at 877.262.3341 or click here to send her an email. Or, you can click here for more information and the registration form. Stay an extra day and join me to attend the Profit Strategies "Build Lasting Value With Maintenance Agreements" seminar. You're already in New Orleans. Stay one more day and get that much more value out of your travel dollar. When you’re busy running a business, it’s easy to overlook low hanging fruit. We don’t do some of the simple things that would make our lives easier, companies better, and marketing more effective. Here are 12 miscellaneous no-brainers. 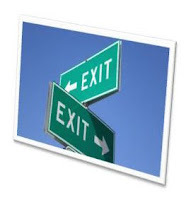 Facebook has passed Yahoo for traffic and is closing in on Google. It keeps users engaged more than three times as long as Google and Yahoo. You can create a fan page for your business for FREE. Why don’t you? Put coupons on the page every week. Recruit your customers, family, friends, and employees as fans. Encourage them to recruit their friends. Everyone may be overloaded with email, but we still use it and still read it. 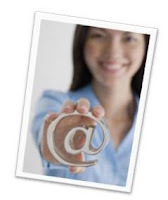 If you can collect your customers’ email addresses, you dramatically reduce the cost of communicating with them. Unfortunately, some people will give you their social security number before their email address. You must give people a good reason. Based on a member suggestion, the Service Roundtable created a great script and employee bio form for collecting email addresses. The call taker informs the customer she wants to send the customer a bio and a picture of the technician who will be coming to her house and asks for an email address. People usually provide the email address. The bio offers the added benefit of providing potential points of commonality with the technician (e.g., the homeowner who volunteers for the humane society will instantly connect with the technician who works with an animal rescue organization). Other contractors simply ask for an email address so the call taker can send the customer a coupon she can use on the current call. In essence, the company is buying the email address with a discount. Sometimes all you need is a good newsletter and people will give you their email address without much prompting. It works. The Service Roundtable is a seven figure company that largely evolved from the Comanche Marketing email list. Local search is becoming more prominent with Google and the other search engines (e.g., local.google.com). Claim your business name and location (it will be verified), fill out the complete information, and encourage customer reviews. It will give you better billing in the “ten pack” of local search results. Again, the cost is FREE. When we purchased our pool, the company we initially selected had done work for several local professional football players. It made the pool contractor seem like a safer choice. Work you’ve done for well known people in your community or on well-known buildings will make your company seem like a safe choice for equipment installations, remodels, and project work. When consumers are spending thousands of dollars, being the safe choice may make the difference between winning and losing a job. Write up a list of your prestigious work. Include pictures as evidence. Make this a part of your sales presentation. When you hold a contest or drawing to give something away at a home show or otherwise, give everyone “honorable mention,” which is a gift certificate with your company. A gift certificate is little more than a coupon that people keep. One of the simplest and lowest cost forms of marketing can be surprisingly effective. It’s the business card. It’s amazing how many companies underutilize business cards. Their cards are plain, containing little more than basic contact information, the same information that’s available from an online Yellow Pages. A decade into the 21st century, they’re using 20th century business cards. Are You Going to Spring Training? Before any game, athletes warm up. They stretch, loosen up, and throw the ball around. Warm ups are important. It gets the athlete ready for the opening play. If he skipped the warm-up, the athlete would play stiff. The baseball player might make a critical error. The football player might get beat for a touchdown. Before the start of a season, pro sports teams conduct their own team wide warm ups. These are exercises in fundamentals where the coaches help the athletes to eliminate any bad habits in technique that the athlete allowed to creep in. Old plays are reviewed and new ones added. Players work on their timing and seek to make small improvements that result in big differences on the field. Right now, professional baseball teams are gathering in the Cactus and Grapefruit Leagues. Spring Training costs baseball owners a fortune. Think about moving your entire company across the country for six weeks, putting everyone up in hotels, renting office space, and then returning. While the baseball owners charge for attendance to exhibition games, the games are held in leased ball parks with capacities that are a fraction of the major league ballparks. The revenue doesn’t cover the expense. Football teams not only have a pre-season to tune-up, but off-season training and mini-camps. Since many of these camps are voluntary, the teams pay the players big bucks in the form of bonuses to encourage attendance. It was reported today that the Cincinnati Bengals’ Chad Ochocinco is passing up a $250,000 bonus so that he can participate in Dancing With The Stars. Professional athletes are already good or they wouldn’t be able to make a living playing a kid’s game. Yet, they still need pre-season work to get back in playing form. For the team owners it’s no game. It’s a business. And the owners recognize the value to their businesses from pre-season warm-ups. What about your business? What are you doing for your company and for your best players? For that matter, what are you doing for yourself? 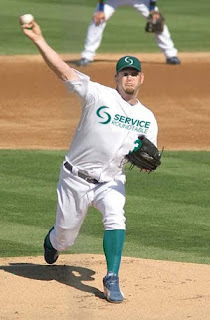 If you don’t know, click here to check out the Service Roundtable’s Spring Training Opportunities. The Service Roundtable is offering two Spring Training opportunities. The first is the Retail Sales Academy with Joe Cunningham March 22-26. This is a great program for your HVAC salespeople to get them in mid-season form so they close more early season sales at higher margins. The second is the New Orleans Roundtable. This is for owners and managers of plumbing and HVAC companies. The focus is taking your business to a higher level. Emceed by legendary contractor, Ron Smith, the meeting features incredible speakers and powerful peer-to-peer information exchanges. These time-tested techniques result in the most successful salespeople in the HVAC industry with high closing ratios and a high-end product and add-on mix. 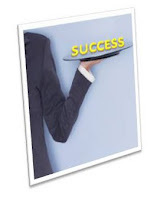 The program has proven to be highly effective with industry newcomers that possess little or no industry knowledge. This course will cover the complete 5 Step Selling Process with an emphasis on creating an atmosphere of trust and education so prospects choose to buy full higher efficiency systems and appropriate add-ons with a one-call close. Unlike other contractor meetings, the New Orleans Roundtable is focused on contractors interacting with each other. Ken Goodrich and his team may be the most successful PHC service and replacement contractors in the country. From his starting point as a tech on a truck, Ken assembled an all-star team, built and sold, not one or two or three, but SIX different companies to consolidators. No one else has done that. If contracting were a sport, Ken would be contracting’s Lance Armstrong. Ken keynotes the New Orleans Roundtable, where he shares the incredible wild ride he started after he sold his last business to ARS. The new owners at ARS brought Ken and his management team on board and commissioned them to grow the Southwest Division. They did. In a few short years, Ken and his team took the business to more than $100,000,000, serving 10 major markets with over 250 service trucks. Some of the growth was through acquisition, but most was organic. In 2009, while many contractors struggled across the country, especially in the markets Ken served, Ken’s team grew their operations over 100% year-over-year. That’s right. They doubled their size in 2009. And they did it with high double digit profitability! In his keynote, Ken will share his story. He will tell you how he became fabulously wealthy in the plumbing and air conditioning industry. Ken says it’s not magic. It’s about the team and about a system. He will share how he built the team and explain the business systems and methods they developed to take run-of-the-mill plumbing and HVAC companies to unprecedented levels of sales and profitability, as well as share his experiences and viewpoints of industry consolidation. While Ken may have accomplished more than most in the PHC service and replacement business, he says that anyone can match his accomplishments with a few simple strategies. You cannot miss this keynote. Joe Cunningham describes the slight unobtrusive, small, step-by-step process it takes to transform the small service company into a fully functioning profit machine. Joe will help you build a “menu for success” implementation calendar. Joe is the founder of Successtrack Network and was one of the PHC industry’s first “Million Dollar Men,” single-handedly selling in excess of 1 million dollars worth of HVAC equipment per year in the highly competitive Houston, Texas market in the 1980’s. Joe went on to develop sales and marketing programs for the plumbing and air conditioning manufacturers and distributors. Joe was also a key distributor and training program developer and trainer for Retrotec Infiltrometer Systems and helped introduce many contractors to solving “whole house” problems helping them to consistently set themselves apart from and outsell their competitors on a regular basis. Joe was President of the country’s most highly acclaimed HVAC training facility, Future University. He produced and directed the first ever nationally televised training series for the HVAC industry, was involved in the first wave of industry consolidation, has developed proprietary training programs for the HVAC, Plumbing and IAQ industry, is a Strategic Training Ally for major manufacturers and is one of the service industry’s most respected professionals. Joe’s step-by-step, easy-to-implement processes and procedures have helped thousands of contractors nationwide increase their sales, develop new markets, maximize their opportunities and grow their businesses in any economic climate. Brandon Jacob knows more about buying and selling contracting companies than anyone in electrical, HVAC, and plumbing. A Certified Public Accountant and Certified Valuation Analyst, Brandon worked on more than 100 transactions involving companies representing total revenue exceeding $850,000,000. Brandon has bought, sold, and valued companies with American Residential Service, ServiceMaster, and more intensely, as an independent consultant. Today, he is the industry’s “go to guy” not only for consolidators, utilities, and contractors seeking acquisitions, but for contractors looking to make their companies more attractive and valuable as acquisition candidates. At the New Orleans Roundtable, Brandon will share the steps you can take to maximize your company’s value. The actions Brandon recommends will improve your business performance whether you intend to sell your business or pass it along to heirs. Brandon will show you how to earn more now and in the future. The steps Brandon recommends apply to any size company and lead to maximum personal wealth. Bring your ideas to share and your problems to solve. We will have brainstorming and ideation Roundtables. 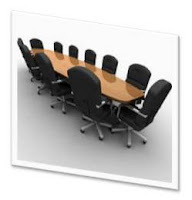 We will create Roundtable Boards of non-competitive companies to discuss and solve your greatest business problems. We will feature a dynamic keynote speaker, terrific speakers, and a brief update on what’s new from the Service Roundtable. The New Orleans Roundtable will be held in the historic, 4 Diamond Hotel Monteleone, located in the middle of the city’s French Quarter. Don’t wait. Our last meeting, the Las Vegas Roundtable, sold out and we turned people away. Reserve your place today! A guaranteed price is a flat rate price. This is the same as a “not to exceed” estimate. Numerous research studies show that consumers hate open invoices. Consumers do not have the expertise to judge whether a repair should take 30 minutes or three hours. This is why consumers try to pin field service personnel down to a hard number. They pester technicians to say how long a repair will take or how much it will end up costing. If the tech offers a number, that amount becomes “fixed” in the consumer’s mind. Whether intended or not, the tech just offered a flat rate price. Why not do what more than 90% of consumers want and offer flat rate pricing. Guarantee your prices? You offer some parts and products that are relatively easy for homeowners to obtain and you offer some services that are simple and easy for the homeowner to tackle. By contrast, other parts and products are practically impossible for the layperson to obtain and other services are too distasteful, difficult, or impractical for the average homeowner to consider. Lower the margin on the former parts, products, and services, while raising margins on the latter. This is flex pricing. Retailers have done it for years. The objective of flex pricing is to generate an average margin equal to, or greater than the company’s target margin, which is the margin necessary to cover overhead, generate a return for the investors’ capital, and provide funds for reserves and future growth. Because you’ll capture more business involving parts, products, and services homeowners can source and provide on their own, you should capture more repair business. If you allocate your overhead against your standard labor hours, how much is left to charge against overtime hours? None. All you need cover with overtime is your direct costs. Everything else falls to the bottom line. You field service pay increases for overtime work, but the increase is almost always less than the overtime component of your standard labor. In fact, I’ve never yet met a contractor whose overhead per hour was less the fully burdened top technician or plumber pay per hour. This means contractors could double time for overtime work, charge the customer standard rates, and still drop more to the bottom line. There is a catch. If you charge standard pricing 24/7, you might pull some business from your standard hours into overtime. As long as your estimate of standard labor hours is accurate, this won’t impact your pricing or bottom line. Since you will capture more after hours calls if you promote “no overtime,” you’ll actually boost sales and the bottom line. Some contractors avoid overtime work. They charge more to discourage calls that can be delayed. This works for companies with plenty of business that want to avoid burning out field service personnel. Nevertheless, these companies are leaving money on the table. Maybe they should consider adding capacity. Service Roundtable contractor, Bob Ring, tired of his commercial customers griping about his rates. He asked the Service Roundtable to assemble a pricing reference chart that compares his prices and service delivery with other services, such as copier repairs, lift truck repairs, and so on. Bob’s point was that his prices are in line with other service company prices. He didn’t compare himself with clueless competitors, but successful service companies from different fields. 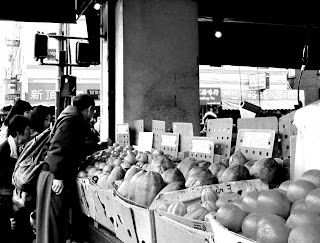 Walk into any grocery store and check the prices for packaged goods. Unit prices are higher when packages are smaller. Contractors should prices similarly. Instead of selling refrigerant by the pound, for example, sell it by the ounce and increase the price per ounce. When demand picks up and you’re straining to cover the volume of calls coming in, increase your response charge. Charge more for same day or priority service. Hotels charge more when demand picks up. So do rental cars and airlines. Demand is higher for the Super Bowl than any other football game and the ticket prices escalate accordingly (even so, scalpers prove that the NFL leaves money on the table and could charge even more). Even the post office charges more for priority service. Why not you? The entire car leasing industry is built on the premise that people buy based on cash flow rather than total price. This is especially true when the economy falters. It may be challenging to find financing sources, but they’re out there. Independent, local and regional banks have money to lend. Call on them and work out financing arrangements. Service Roundtable and Retail Contractor Coalition member Steve Miles added a seasonal breakdown guarantee for a small extra fee. Once the company performs a tune-up, any repairs through the season ending date Steve specified are on the house. Thousands signed up for the program and only a few systems actually needed repairs. The program was a huge success. The Service Roundtable machine just keeps churning away. This week we released a handful of new content for our HVAC, plumbing and electrical contractors. We started off by sending out a copy of our exclusive Marketing Planning Wizard to our electrical members. This custom built program makes it easy for anyone to create a year-long marketing plan that covers strategy, budgeting and implementation. It takes you by the hand and guides you every step of the way. It's a must for anyone struggling to create a sensible, practical marketing strategy. Plumbing and HVAC were treated to a new Spring Break-themed postcard for promoting maintenance, and everyone got a copy of our new Multi-Purpose Follow-up Email. It impacts your customer in 3 important ways after they've tried your service. Members of the Service Roundtable are treated to new, unique content every week. To find out more about it, visit us on the web at ServiceRoundtable.com. 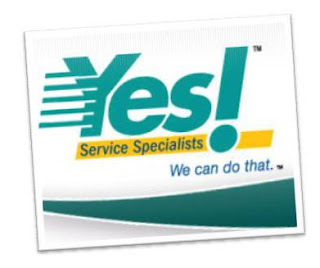 Announcing The Service Roundtable For Electrical Contractors! Electrical contractors have asked when we’re going to launch the Service Roundtable for them. Well, it’s here! Even better, for the next week EVERYONE gets an opportunity to try the Service Roundtable for one month for $9.95. Hurry. This special expires March 12, 2010.